Remove the rear window wiper motor. 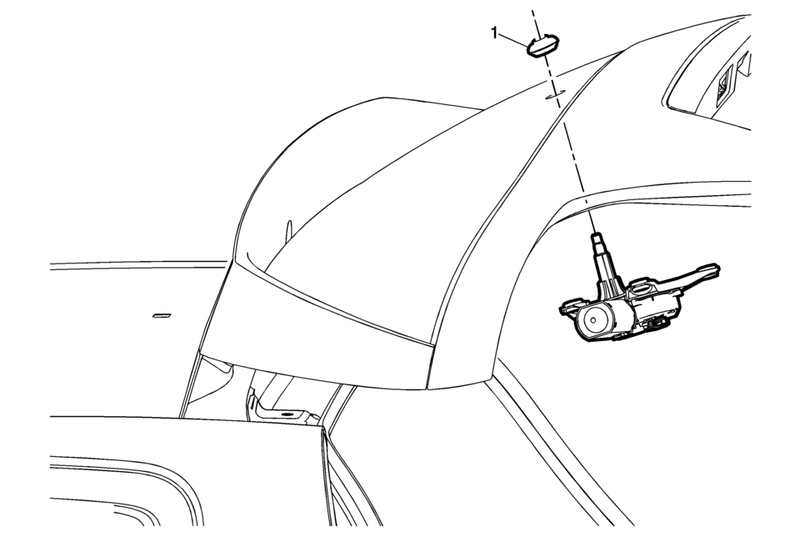 Refer to Rear Window Wiper Motor Replacement. Apply some lubricant to the outside of the grommet upon installation to aid in installation through the liftgate glass opening.